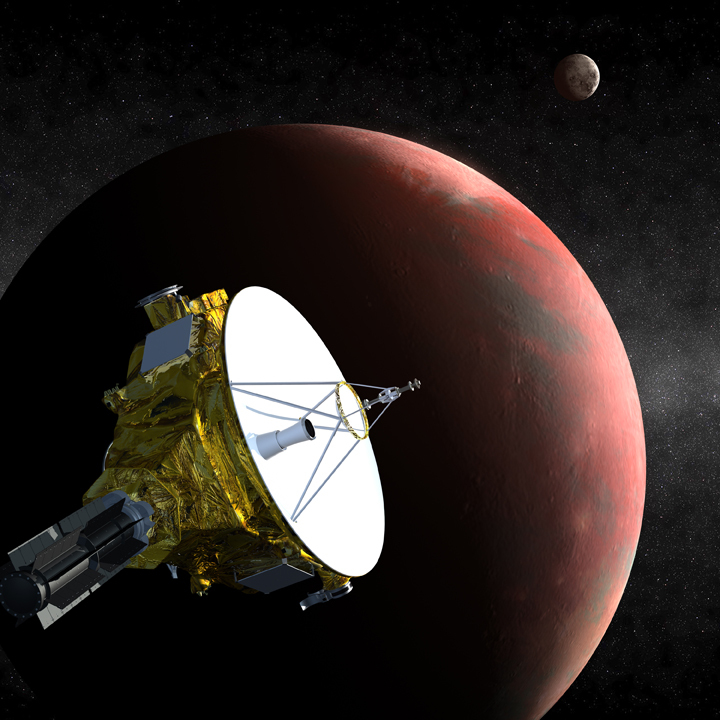 The New Horizons Pluto-Kuiper Belt Mission launched in January 2006 and completed its flyby of the Pluto system in mid-July 2015. Data coming back from New Horizons will help us to understand the icy worlds at the edge of our solar system. The mission is now slated to visit a Kuiper Belt Object (2014 MU69), called “Ultima Thule,” on January 1, 2019 (UTC). New Horizons made a close flyby of Jupiter in Feb. 2007 in order to get a gravitational boost enroute to Pluto, shortening its cruise time by about 3 years. The instruments were exercised successfully and returned exciting Jupiter science to earth, including images of a 200 mile high plume from the active Tvashtar volcano. The Student Dust Counter is the first student-built instrument ever to fly on a NASA planetary mission. It has taken the first measurements of dust distribution beyond 18 AU. With guidance from LASP professionals, the SDC team of graduate and undergraduate students designed, built, and tested the instrument, and students will continue to run the SDC for at least another decade, performing operations and data analysis as their instrument journeys toward the edge of the solar system. Click on the image to view a PDF (591 KB) of New Horizons-SDC FAQs.